Friends, since our last update, Mykola Poltorak has come a step closer to realizing his dream. In the past few days, a number of charitable contributions have been received by the The Victors project. 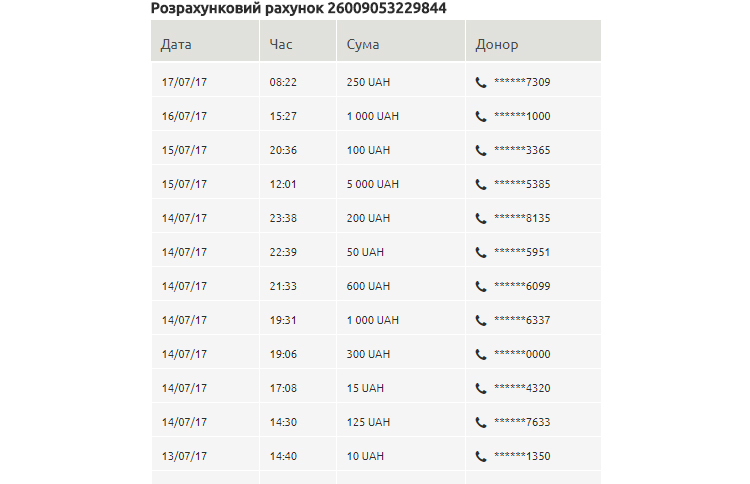 Just 10, 30, 50 UAH they all mount up, some were able to make a donation of 1000 and even 5000 hryvnia. We are sincerely grateful to all of you, regardless of the size of the contributions – because any sum important. The total revenue raised only in the past few days was more than 7,000 UAH, and the total sum of fees, including the funds collected during the charity race as part of the Odessa Half Marathon 2017, now stands at almost 47,000 UAH. Thus, we only have to collect 88,000 UAH more – all of these figures are reflected in the overall project report. For these funds, we plan to partially purchase, partially, a complex multicomponent prosthesis that will allow Mykola Poltorak to comfortably run. The ATO veteran was involved in running in the army, and he himself says: running can perfectly maintain tone and physical form. It is for this that he needs a special jogging prosthetic. Mykola Poltorak – from Odesa is the father of four wonderful children, for his service he was awarded the Knight of the Order “For Courage” and is a participant of the multimedia social project The Victors, founded as part of a joint initiative between TSN (channel 1+1) and the magazine Viva !. Before the war, Mykola was an active participant in the events on Maidan, with the onset of hostilities, he voluntarily went to the front. By the end of his service he was fighting as a scout/sniper and during one of his combat exercises, he stepped on a mine and lost his leg. An active and energetic man he did not lose hope: after finishing his treatment, Mykola was trained, received a grant for his own business, and is preparing to share his experiences in what he learned from innovative initiatives in agronomic science. We encourage you to participate in the project. Your charitable donations within the framework of The Victors project will give us some opportunity to pay tribute to this courageous defender of Ukraine.